Please click here to see the edition of BuilderBytes for 10/31/12 on the Web. Please click here to see the edition of BuilderBytes for 10/29/12 on the Web. Patrick Duffy, principal at home-building consultant MetroIntelligence Real Estate Advisors, said he predicts that next year will see builders break ground on 800,000 to 1 million new homes nationwide, following this year's projected 600,000. "House building has a big multiplier effect" on the economy, he said. "That's why we've been dragging along. Now housing is starting to pick up; that's a nice annual bump. It's really hopeful, but there's still some economic uncertainty out there." Please click here to see the edition of BuilderBytes for 10/26/12 on the Web. Please click here to see the edition of BuilderBytes for 10/24/12 on the Web. Please click here to see the edition of BuilderBytes for 10/22/12 on the Web. My column for the October issue of Builder & Developer magazine is now posted online. Moreover, by spending less on housing and cars, consumers will have more money left over to save or spend on education, thereby making them more nimble for a global and largely knowledge-based economy. This industry could thus have an outsized impact on the future: by deliberately encouraging Millennials to live closer together and share their ideas (as well as their cars and extra rooms), America could regain its economic strength for generations to come. To read the entire October 2012 issue in digital format, click here. Please click here to see the edition of BuilderBytes for 10/19/12 on the Web. Congrats to Builder & Developer on its 250th edition! 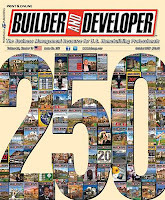 October 2012 marks a big milestone for Builder & Developer magazine -- it's 250th edition! The magazine, launched in the beginning stages of the last housing recession in the summer of 1990, not only thrived through that difficult period, but spawned sister titles such as Green Home Builder, Residential Contractor and 50+ Builder. Today, the magazine certainly holds its own alongside other national titles including Builder and Professional Builder. More recently, when I approached Nick about working with me to create an email newsletter focused on economics, he suggested that I begin participating in BuilderBytes, which already had a built-in readership of over 130,000 people. Now, three times per week, BuilderBytes includes the regular economic news which drives housing demand, the stock market and Federal Reserve policy. Subscribe to this publication, and you'll never miss a story on housing sales, building permits, consumer confidence, builder confidence, retail sales and business productivity. It's the ONLY email newsletter serving the building industry which includes this data! Congratulations to Nick Slevin and his dedicated team who regularly publish Builder & Developer and its other titles. I look forward to the next 250! When I was teenager, my recently widowed maternal grandmother sold the home she’d shared with her husband for many years, and moved to the safety and security of Seal Beach Leisure World, one of the first age-restricted communities built by Ross Cortese in the early 1960s. However, this was a move my paternal grandmother didn’t quite understand at the time, as she much preferred aging in place and living out her own life in a classic neighborhood of more mixed demographics. Since both grandmothers made the right decisions for their own circumstances, it made me wonder: where will the Baby Boomers live, and in what numbers? 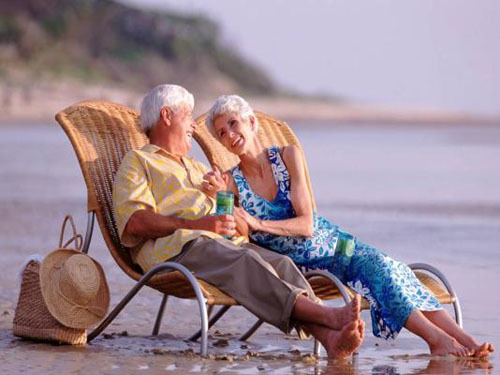 If you asked this question in the late 90s, as the stock market was rising and pensions were swelling, many Boomers envisioned a leisurely retirement filled with ocean cruises and vacation homes. 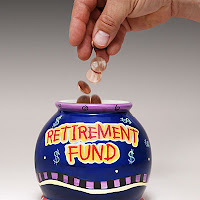 Fast forward to 2012, however, and given a combination of fewer pensions, a housing market in the beginning stages of a rebound, and individual investors who largely missed out on the latest stock rebound, for many Boomers the new plan is to work longer and either downsize to a smaller, more manageable home or simply age in place. But that still means plenty of opportunity for both builders and remodelers. Fortunately, Pulte Homes’ Del Webb subsidiary, which has long had its own army of market researchers, has been conducting its own Baby Boomer survey since 1996. For these surveys, the company separates out younger Boomers (those turning 50 years of age in the next year) and older ones (about to turn 64), and separates them into four groups: younger Boomers, older Boomers, boomers who were 50 in 1996 and were about to turn 65 in 2010, and current residents of Del Webb communities, most of whom were age 60 to 76. Some of the differences between the surveys of 1996 and 2010 are striking. Compared to 50 year-olds in 1996, today’s younger Boomers plan to retire four years later (age 67 vs. 63) and are half as likely to be prepared for retirement (16% vs. 34%). Over four in ten think they’ll never be financially prepared to retire, and nearly four in ten haven’t started to save for it. Consequently, 72% of young Boomers plan to work, but that’s actually pretty close to the rates for older Boomers (74%) and Del Webb residents (70%). Still, the reasons for continuing to work aren’t just financial – they also include keeping busy and self-satisfaction. 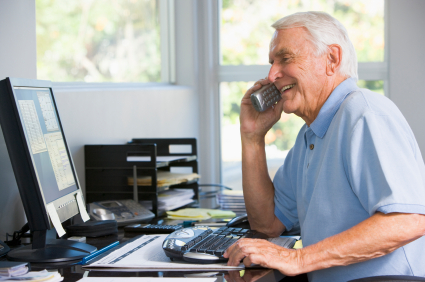 Nonetheless, just 40% of current retirees are actually working, but this rate may rise along with the growing acceptability of home offices. The most consistent response to these surveys was whether or not to move: over one-third of respondents in all four groups – or just over 26 million people -- plan to move during retirement (the rate is even higher at 42% for young boomers). Of those planning to move, half think they’ll move to a new state. 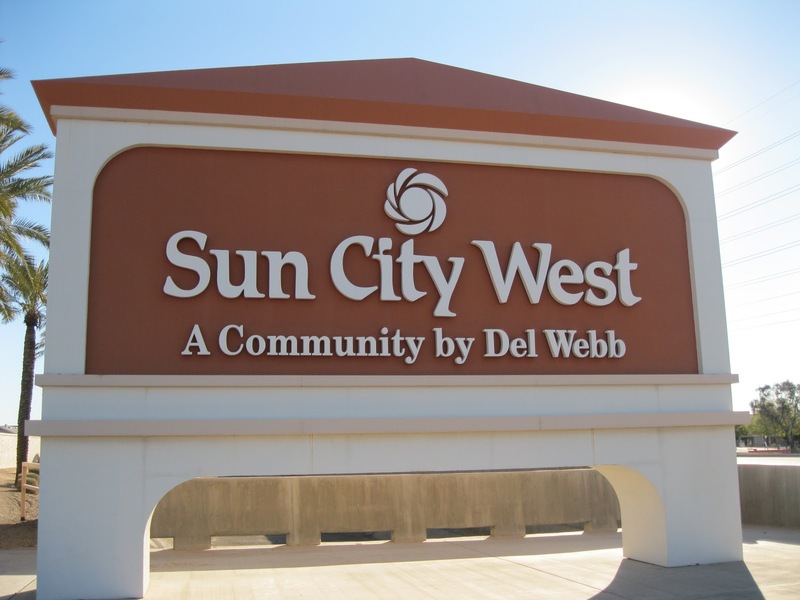 Not surprisingly, when considering age-restricted communities, older Boomers prefer the option by 2-to-1, and existing Del Webb residents favor a similar community by a factor of 10-to-1. For younger Boomers still wearing skinny jeans and going to rock concerts, however, less than 10% of them are interested in age-restricted options. For both younger and older Boomers, cost of living and healthcare remain by far the most important considerations when choosing a retirement home (Del Webb residents added ‘amenities’ to that list). Other important factors for all groups surveyed included a better climate, being close to children and grandchildren, and networking opportunities. Interestingly, the idea that retiring Boomers would depart the suburbs in favor of the hustle and cultural options of cities has not yet been supported by census data. Recently, Forbes magazine, with the help of demographer Wendell Cox, compared population numbers for Boomers ages 45-54 in 2000 and compared them with those ages 55-64 in 2010. During that ten-year period, cities actually lost over 10% of these urban empty nesters, and the rate of decline was even higher (12%) for older retirees ages 65-75. What this data suggests it that both of the choices selected by my grandmothers are expected to remain popular in the years ahead. Although the Del Webb model will always have its fans, builders can also benefit from addressing those Boomers who choose to stay in place – if not in their existing home, at least in the same community. In turn, the apocalyptic future of suburban ghost towns in favor of city living will likely turn out to be just a fantasy. Please click here to see the edition of BuilderBytes for 10/17/12 on the Web. Please click here to see the edition of BuilderBytes for 10/15/12 on the Web. U.S. consumer sentiment unexpectedly rose to its highest in five years in October in the latest in a string of encouraging signs from the economy that may boost President Barack Obama's re-election hopes next month. The Thomson Reuters/University of Michigan's preliminary October reading on the overall index on consumer sentiment came in at 83.1, up from 78.3 the month before, and the highest since September 2007, the survey showed on Friday. Please click here to see the edition of BuilderBytes for 10/12/12 on the Web. If you missed the recent San Diego Economic Forecast Conference produced by Beacon Economics, fear not! As part of its ongoing association with these economists, MetroIntelligence authored the commercial real estate section for the conference book given out to attendees at this event, which took place on October 3rd at the Hilton San Diego Bayfront Hotel. The San Diego office market, after having seen its last trough in the fourth quarter of 2012, should continue to see slow improvement, with vacancies falling to nearly 16% and effective rents growing by 1.3% in 2012 and by 2.1% in 2013. Although retail rents are somewhat stagnant, occupancy levels remain stable, and the retail market has seen a return to positive absorption levels; look for retail vacancy rates to end the year at 6.1%, while asking rents grow by 1.3% to 1.7% this year and next. In keeping with last year’s cautious optimism, 2012 seems to be the year in which the county’s industrial sector began its recovery; look for industrial vacancies to fall to 8.6% for all of 2012 and to 8.1% in 2013, while asking rent growth rebounds to 1.3% this year and more than doubles to 3% for 2013. Rather than investing in new supply, many building owners are building additions or making alterations to existing properties; permit activity for new development declined for both the retail and industrial sectors. In contrast, office properties in San Diego experienced strong growth in permit activity for new development. With interest rates for 10-year U.S. Treasury bonds recently trending down below 1.70%, current cap rates for commercial property sectors look competitive by comparison, ranging from just over 3% for retail properties to around 7% for the office sector. 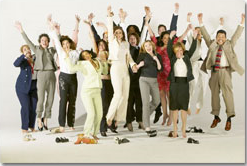 Click here to download this commercial real estate section for free. Click here to find out more about the consulting services offered by MetroIntelligence Real Estate & Economics Advisors. Or just give us a call at 818.584.1848. If you missed the recent San Diego Economic Forecast Conference produced by Beacon Economics, fear not! As part of its ongoing association with these economists, MetroIntelligence authored the residential real estate section for the conference book given out to attendees at this event, which took place on October 3rd at the Hilton San Diego Bayfront Hotel. Lower home prices continue to support higher affordability versus the boom years, with 54% of households able to buy the median-priced home at current interest rates; this index is now where it was in both late 2009 and late 2002. Although the S&P/Case Shiller index in May was still lower than a year ago, since the beginning of 2012 it has began to slowly rise, and is about where it was in both late 2009 and late 2002. New home sales remain depressed, with sales in the second quarter of 2012 down by 82% from the peak of early 2005; still, over the previous year sales did rise by about 3% while prices fell by a similar amount to $437,148. Sales of existing single-family homes in the second quarter of 2012 rebounded by 17% over the previous year versus less than 10% statewide; despite the increases, sales prices rose by just 0.7% to nearly $360,000 versus 8% statewide. Condo sales in the second quarter of 2012 rose at about the same rate of new homes over the previous year, or just over 3% to about 2,700 units versus an 11% rise statewide; sales prices rose by 4.7% to over $220,000 versus 6.8% statewide. Given its combination of low vacancies and positive rental growth, San Diego’s apartment market is among the strongest in the country; during the second quarter of 2012 vacancy rates were at about 3% with asking rents rising by 2.5% over the past year to $1,384 per month. Foreclosure activity in the second quarter of 2012 showed sharp declines, falling by nearly 50% over the previous year to 1,325 units, or where it was in the second quarter of 2007; loan defaults also fell by nearly 24% over the previous year to about 4,200 units. Permits for new single-family homes remained depressed at just over 550 units during the fourth quarter of 2011, well in line with the quarterly totals noted since the last half of 2008; however, permits for multi-family units rose by over 125% over the previous two years to over 670 units by the final quarter of 2011. Please click here to see the edition of BuilderBytes for 10/5/12 on the Web. Please click here to see the edition of BuilderBytes for 10/3/12 on the Web. Please click here to see the edition of BuilderBytes for 10/1/12 on the Web.